You’re listening to Insights at the Edge. Today I speak with Stephen Batchelor. Stephen is a former monk in the Tibetan and Koran Zen traditions, with a humanistic, non-dogmatic approach to Buddhism. He is the author of the new book Confessions of a Buddhist Atheist, as well as the sounds true audio learning program, Buddhism Without Beliefs: A Contemporary Guide to Awakening. In this episode of Insights at the Edge,, Stephen and I spoke about the importance of doubt in spiritual practice, lessons from the historical life of the Buddha, and how Stephen is exploring the Buddha’s teachings in a post-modern world. Here’s my conversation with Stephen Batchelor. Tami Simon: Stephen, one of the themes in your new book, Confession of a Buddhist Atheist, as well as a theme that I think has run through a lot of your writing, is the theme of doubt: the power of doubt, the function of doubt. To begin with, could you talk some about that, about doubting? Stephen, why is doubt so important to you? Stephen Batchelor: Well, doubt is important to me for a number of reasons, firstly because it’s something that I struggle with in my own life. I wasn’t brought up in a religious family at all. In fact, I was brought up in a humanist environment, which was basically skeptical about any spiritual or religious truth claim, so that sort of doubt was probably fostered within me from quite a young age. At the same time, I think it was precisely that sort of humanistic uncertainty and skepticism that made me realize that something was missing in my life. This, I think, is what drew me very strongly to India in the first place, and specifically to the teachings of the Tibetan Buddhist tradition. I was a monk for a number of years, and I was trained very much to investigate. I was told by my teachers not to just take things on trust—which of course resonated very much with my humanist, skeptical background—but to analyze what the Buddha was saying or what his followers were claiming, and to really check it out. So I did that, and I trained as a monk, I learned Tibetan, I did debate, and so on. But I found myself, after a number of years, assailed once again with very serious doubts about the claims of certain rather important Buddhist doctrines, particularly those of rebirth and the law of karma, which I found very, very difficult to accept. Doubt really began to be something very real for me at that time. The other thing that I realized then—because I was training as a monk, I was practicing meditation, I was taking these questions extremely seriously—was that the doubt also had a kind of vitality to it. That sense of not knowing—and doubt, in a sense, goes inevitably with the sense that we don’t know somehow, that we’re uncertain about something, we don’t know what’s going on—I felt that that sensation of uncertainty had a kind of depth to it, a kind of truth to it that seemed, in some ways, more viscerally true than the kinds of states of certainty and conviction and faith that are so often felt to be central to the whole practice of spirituality or religion. It’s that that led me, by a number of coincidences, I suppose, to explore the possibility of actually cultivating this doubt. I found a monastery in South Korea where one did precisely that. I left my Tibetan tradition, which was quite difficult, and ended up in South Korea, where I spend four years training in Rinzai Zen meditation, and the whole training was basically the cultivation of what they call “the great doubt.” This great doubt is really that fundamental sense of uncertainty and questioning as to what this life is, what this world is, what this thing we call “reality” is, and to resist the temptation to reach for certain consolations that give us certainty or conviction that what this teacher says or what this text says is somehow true, but rather to recognize that it’s in that very uncertainty that springs from this kind of existential doubt that we actually touch something of very vital importance in a spiritual practice. At least I found it to be of very vital importance in my own work. 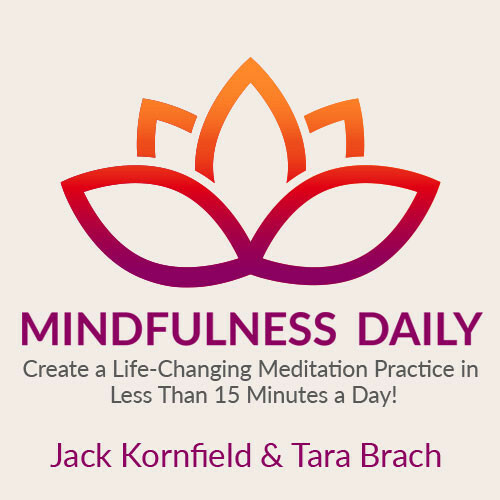 This kind of cultivated doubt is not the doubt that we might find in terms of just being uncertain about something, or not knowing whether to do this or to do that, but it really is the kind of a mind-stopping uncertainty of “don’t know.” One of the Korean Zen masters calls it the “don’t-know mind.” It’s training, as it were, one’s self to go beyond the attachment to certainty and opinion, and to allow one’s self to rest in the uncertainty and, in some senses, the chaos and the pain of doubt. Zen, I think, very successfully turns the habitual view of doubt on its head, from something that is an obstacle—which, in most Buddhist traditions, is still the case—into something that is an extraordinary opportunity. So along all of those lines, I’ve found that doubt has, as you’ve suggested, come to be like a thread that runs through my life, but it’s no longer something that I find unsettling or disturbing, but something that I find has great creative potential. TS: Now, I love this idea, Stephen, of cultivating doubt, going deeply into it, what you called “the great doubt.” Was there some type of knowing or certainty that you discovered by sitting in this great doubt? SB: Well, I suppose the certainty that you arrive at is the certainty that you don’t know. That, of course, has a rather Socratic ring to it. Socrates is famous for having said that the only thing that he knows is that he doesn’t know anything. This is the paradox. In Zen tradition, they often talk of a threefold approach to practice, which is summarized as great faith, great doubt, and great courage. I find that kind of functions as a tripod in my own practice. The doubt is always contextualized, in Zen practice at least, with a confidence: a confidence that you can actually live with this doubt, a confidence that by pursuing these deepest existential questions, that you have the capacity to wake up to some other way of experiencing and envisioning your life that would not happen unless you were prepared to embrace your doubt totally. You therefore enter into a sort of dialectic, a dialectic between faith and doubt that’s an ongoing process in a sort of Hegelian way: thesis, antithesis, synthesis. What perhaps is the engine in practice that moves that along is the other leg of this tripod, namely courage, because it’s quite hard work! It’s far easier, in a way, to simply accept a certain bunch of beliefs or doctrines and acquiesce in that. It’s also, I think, relatively easy to dismiss all such questions as really not terribly relevant, and to become a kind of professional cynic and skeptic. I’m somehow trying to find a way between those two extremes, between the extremes of skepticism, in which I’m not willing to take anything seriously, or I simply reject everything I’m told or I read or I hear, and on the other hand a kind of naive and perhaps sometimes even rather childlike adoption of opinions and views, probably because they give you a sense of security, a sense of having eliminated the uncomfortable uncertainty that does come with doubt. And so you do need courage, and that to me has become very central to how I think of my spiritual practice. It operates within the triad of those three functions. TS: Now, I want to go a little bit more into both faith and courage. What would you say is your faith? SB: My faith? My faith lies primarily in my faith to be able to transcend my limitations. I see faith not as a set of beliefs. I see faith as very much a kind of longing, a kind of aspiration, an aspiration to never relinquish the quest for meaning and value and understanding and compassion and love. Faith is a longing that these things can be realized, that these values are worth pursuing, and that no matter what kind of obstacles may stand in one’s way—whether that be other people or institutions, or whether it be psychological problems like attachment or anxiety or depression or whatever it is—that one nonetheless does have the ability as a human being to rise beyond and above those limiting factors and achieve a kind of transcendence—not a transcendence in something that we would call “the transcendent,” but rather transcendence as process, a process which is a living process of working beyond one’s limits and opening up as much as one can, moment to moment, day to day, towards an unknown, what you do not yet know, and which beckons, as it were, as offering possibilities of insight and understanding. For me, the Buddha represents, as a historical figure and also as a kind of archetype, a person who has in a sense realized that in an almost unbelievable way, and who has managed to configure a set of teachings and philosophies and practices that enable others to pursue and follow him in that path. That would be my faith in the Buddha, and also primarily my faith in the path itself. That, I think, is really what I have trusted, and what over the years I’ve come [to] more and more through my own work, not just my meditation practices and so on, but also my writing work, my work as an artist, my work as a teacher. That faith that I have in those possibilities, I feel, is what has inspired me and kept me going on this path that I’ve now been exploring for nearly forty years. TS: Stephen, one leap that you made that I didn’t fully follow you on, when you equated in some way faith with longing. I mean, I think of longing as something that I aspire to, [that] I want, [but] it’s not quite here. You know, I long for this person, or I long for some sense of completion or something I don’t have. How did you make the jump from faith to longing? SB: Well, actually, it’s not my jump. What I was saying is actually one of the classical Buddhist definitions of faith. The text described faith as a kind of longing, and not a certainty in that sense, but rather a longing to go beyond what limits and frustrates your life here and now. It is more than just a longing, because it’s faith in the sense that it’s a longing that trusts that it can be done. The longing itself is a kind of a trusting. You long for it, but at the same time you trust that by pursuing these ideals or these goals, that you do have the capacity to realize them to some degree. TS: I’m comfortable using the word “trust” or “confidence,” but what you’re saying is that we have trust, confidence, that our longing will be fulfilled? SB: Well, I would put it not so much in those terms, but [rather that] we have trust, confidence that we can overcome the obstacles that stand in the way of realizing the aim of our lives. That expresses itself both as a longing to go beyond those obstacles— Let’s say, for example, I’m a very uptight sort of person. I’m someone who’s very, very reluctant to embrace change, someone who likes things to be the way they always are, and yet at the same time I realize that that’s actually a state of frustration. It’s a state of feeling blocked and stuck and somehow unfulfilled. I yearn to go beyond; I long to go beyond what frustrates or what limits me, what hampers my existence from really flourishing. At the same time, I have a confidence (because of, in my case, the Buddhist teachers of the past and present) that this can actually be done, and that therefore my longing is not just some futile yearning for some ideal that I would like to be, but rather it’s a longing based upon a certain confidence in a tradition—not exclusively Buddhist, but of the many figures in history that I find as role models in a way, as inspirations. Their example is for me a great confirmation that we can live otherwise, we do not need to be trapped or stuck in particular circular situations where we just go around and around and around without really getting anywhere. TS: OK, and then let’s talk about this third leg of the tripod, using your metaphor: courage. I’m curious, specifically in your life, how courage has functioned, what some of the challenges have been that you’ve had to be courageous around. SB: Well, the first thing that comes to mind is the courage to go beyond what my family expected of me. Back in the 1970s, to become a Tibetan Buddhist monk was not exactly on most middle-class English parents’ wish list of things for their son to do. I think perhaps even today it’s the case, too, that there’s an awful lot of counter-pressure on someone who seeks to pursue a life like the one that I chose, not to do that. And because I think most human beings have an enormous sense of gratitude and indebtedness and love for those who seek to support them and help them, like parents and family and so on, it’s actually quite a struggle to resist that, and to not opt for what would have, in my case, been a much simpler solution: to have gone back to England and to have gone to university and to have got a degree in religious studies and become an academic. I could have done that, I suspect. The courage to somehow act outside of the box of expectations that one’s family and one’s culture and one’s society imposes upon one. Another kind of courage is the courage to trust one’s own judgment, the courage to be true to one’s own convictions that have arisen out of one’s own inquiry, one’s own experience, and not to simply submit to the greater authority of a tradition. This is the kind of courage I suppose that was called forth from me when I started having enormous difficulties with my Tibetan Buddhist tradition. Again, the less courageous approach, I think, would have been to simply acquiesce in the wisdom of my teachers and their tradition. I could have had a rather comfortable life as a Tibetan Buddhist monk, teaching the dharma, translating texts, supporting my teacher, developing the center, but I chose not to, because I felt that by doing that, I would somehow be compromising—again, going back to faith—my deepest intuitive yearnings for what I felt to be the most important things in my life. And so I did not do that, much to the discomfort of my fellow monks and my teacher. I went off and I pursued a training in a Buddhist school that was regarded by my Tibetan teachers as anathema, as heretical, and yet I stuck to that. I’m very glad I did. I find that in each of these moves in my life—which, for lack of a better word, one might call “courageous”—in doing that, and in finding that by sticking to one’s guns, by being true to one’s self, that does actually enrich one’s life. It leads to possibilities that, had I been less courageous, I would never have encountered. Again, over time, over the course of the years, I’ve felt more and more comfortable and trusting of my own intuitions, my own choices, my own judgments, and that’s given me a great strength to pursue a line of inquiry in my writing which has also generated a lot of controversy. People don’t like what I say—well, some people—and there’s a certain courage, I suppose, to keep going in the face of all that as well, to write as honestly as I can, not to say things that I think people will like, or will somehow reinforce opinions people have, but to be as honest and truthful as possible. In this recent book I have written, which is a confession, I suppose might have taken what some people might call “courage” as well. In fact, I do get a fair number of e-mails thanking me for my courage in saying what I’ve said. I’m not quite sure what that means yet, because I’m still too close to that work, but nonetheless perhaps that is a recognition that I am being true to what drives me at the deepest level of myself, and I’m grateful that I’m able to live in a way that flourishes or comes out of those choices that I’ve made in the past. TS: This is the first time I’ve heard this teaching: great doubt, great courage, great confidence—we can use that word [instead of faith]. It’s the first time I’ve ever heard that, and I have to say I really love it, Stephen. It’s very inspiring to me. I’m curious if there’s anymore that you might be able to share in terms of how this is traditionally introduced to people. The aim of practicing the koan “What is this?” was not, in Korea, in order to arrive at some shattering satori, or breakthrough or insight, in which that doubt would be resolved, but rather the purpose of the question, according to Kusan Sunim, was very much to use the words of that inquiry, “What is this?” as a means to cultivate what he called “a sensation of doubt”—sometimes it’s translated as “a mass of doubt” or “a block of doubt”—which he described in a rather curious metaphor: he said it’s like the coagulation of milk. I don’t quite understand what he means by that, but I think what he’s getting at is that we actually need to take this doubt, this questioning, and really build it up within us so that it becomes an almost somatic sensation. Another thing that Kusan used to emphasize a great deal was that this inquiry was not just an intellectual or mental or spiritual inquiry, but it’s an inquiry that embraces and engages the whole of one’s psychophysical existence. He would ask us to doubt with our stomachs, to doubt with our feet, to doubt with our bodies, the pores of our skin, the marrow of our bones. I think, metaphorically, we can grasp what that’s about, but in practice it came down very much to dropping, at a certain point, the form of words, [dropping] “What is this?” “Who am I?” or whatever, once that question has served its purpose of engendering this almost physical sense of uncertainty, of doubt. But in order to do that, we did it in the context of the Buddhist monastery, and so that would mean that two or three times a day, we would attend services, we would honor the Buddha, we would take refuge in the Buddha, we would offer water and lamps and incense and so forth at the altar. That was very much a situation in which we were affirming our trust or our confidence in the tradition, in the figures—Zen masters, our own teacher, the Buddha. So again, you get that dialectic at work. As for courage . . . Well, to sit for ten to twelve hours a day in a darkened room without windows, and to do this for three months at a time, took a certain amount of courage I suppose, a certain amount of determination anyway, to actually go through with this. So in practice, that’s how the Zen monastery functioned. I must say that, of all of the years of reflection and meditation I’ve done, I think without a doubt the time in Korea was probably the time in which I immersed myself most consistently and wholeheartedly in the practice of meditation, and I do think that it was framed, not just by the ideas of faith and doubt and courage, but actually by an institutional structure. The zendo, the talks, the whole way the monastery was designed, supported that tripartite approach. TS: Now, I want to just track back for a moment to something you mentioned early in our conversation: You were talking about when you were being trained as a Tibetan monk, that the belief in reincarnation and karma came up as something that you felt suspicious of it. You lumped reincarnation and karma together, and I’m curious about that. I mean, it makes sense to me that you might doubt the validity of reincarnation, but why did that cause you to also doubt the teachings on karma? SB: Well, I think it is a common trait in Buddhist circles to use these two words as though they were kind of interconnected. “Karma and rebirth” almost comes out of people’s mouths as a single expression. I agree with you that, in fact, the two ideas are logically quite distinct. It’s the doctrine of reincarnation I find the most difficult, because it is a doctrine that’s making a sort of an empirical claim about what happens to a human being, in my case, upon the death of the physical body, and thereby requires that one posit some kind of nonphysical entity (or something or other) that is able to survive the breakdown of the body and the brain and proceed to another birth. That [is what] I find the most difficult to believe. The doctrine of karma is rather more complicated. What I find difficult to accept is the classical doctrine of karma in which there is said to be a kind of a natural law, a natural moral law, that’s built into the structure of reality itself, so that if I commit an act of murder, for example, there is something about the nature of that act that will lead to my experiencing a fairly definite sense of punishment—whether it’s in a hell or in this life or in a future life—and there will be the result of my having murdered someone. Now again, I find that rather difficult to understand, how there could be this kind of moral bookkeeping-system built into the structure of things themselves. I have no difficulty, however, with the idea that karma—which, all it really means is simply “action”—that karma, in other words actions, will have consequences after my death. I think that’s fairly self-evident. So I accept the doctrine of karma to a degree. Now the Buddha, when he was asked to define what he meant by “karma,” would usually say, “Karma is chetana. Karma is intention.” In other words, he seemed to be pointing away from the idea that karma is some kind of moral law that goes from life to life, and pointed far more to how the source of moral acts—be they thoughts, be they words, be they deeds—has its origin in the choices and the decisions that we make as human beings. The way the Buddha presented the idea of action, therefore, was something that we could actually begin to notice and observe in our own lives. We can notice the connections between the choices we make and the things we do, and we can notice the consequences of our words and our acts, both psychologically within ourselves—we might feel guilty, we might feel very excited, or whatever—as well as, of course, the results that those actions have upon other people, our environment, the world we live in. So that’s the doctrine of karma, which I think is again a very traditional one. It’s obviously something that does not end with my physical death. If I drop dead from a heart attack tomorrow, I will leave behind me the works that I have done, the books that people still continue to read, the audiotapes and the podcasts that people will still listen to, the numerous things that I’ve said and done to other people that, whether known to me or not, have had some impact on their lives, positive or negative. That will continue to play itself out. I see karma very much in that way: that it’s simply a way of describing how we need to be far more attentive to what leads us to act, and to attend to what the consequences of those acts are. But I can’t accept the idea that there is some kind of built-in result that will correlate to a particular cause. I would look at it more empirically, and understand karma really as something that we need to attend to and observe in our own lives, and also to see how it plays out, obviously, in the lives of others as well; all beings, in a sense, are the children of their own acts. And as best one can—and again, it’s not always an easy thing to do—to arrive at one’s own sense of what is in fact a skillful or an unskillful thing to do, a virtuous or an unvirtuous thing to do, and to make that less and less of a kind of a doctrine-esque stance—holding a certain set of virtues to be good—and rather something that emerges out of the course of one’s own experience, the course of one’s own choices, the course of one’s own actions and the repercussions that they bring about. TS: So in addition to a belief in reincarnation and a belief in karma as a sort of underlying moral system where “this causes this” from one life to the next, are there other beliefs in Buddhism, [other] “beliefs” that you question? SB: Well, the different realms of existence, I’d have to say, but that again is all part of the same package. It’s all the postmortem stuff that I find difficult, but I find the Buddha and his followers are, at the same time, often very brilliant psychologists. They have, I think, a very refined philosophy. They have all sorts of practices that I think are very effective, and that can be tested and so on. It’s the metaphysical side of Buddhism that I have a problem with. And what I’ve also noticed more and more is that the things that I really have difficulty with in Buddhism are the very things that it shares in common with Hinduism. In other words, the Indian cosmological worldview, or let’s say the cosmological worldview of ancient India, in which the Buddha grew up, in which he taught, and in which Buddhist tradition has subsequently evolved and has been instrumental in forming and developing that worldview as well. But I honestly cannot think of anything else in traditional Buddhism that I find problematic, let’s say, to that degree. Other doctrines are more amenable to interpretation, because different Buddhist schools will have different Buddhist ideas. No, it’s the postmortem stuff that’s the problem, and the prenatal stuff, I suppose. TS: What are the prenatal beliefs in Buddhism? SB: Well, the prenatal things would be— I mean, in the classical Buddhist thought, the idea is that you are born as the result of your previous karma or actions, or someone else’s previous karma, that have preceded you in other lives. They are the reason why you got born in, in my case, northwest London in nineteen-whatever-it-was. In other words, the law of karma operates just as much before your birth as it does after your death. It’s the cosmological frame within which beings are thrown into birth and ejected at death, and then according to their deeds, reborn once again. But if you dismantle that view, you do in fact also have all sorts of knock-on effects to other Buddhist views: for example, the idea that nirvana means the cessation of rebirth, which is what it does, strictly speaking; it means that you won’t get reborn anymore. So in that sense, how can Stephen Batchelor believe in nirvana? But again, I will go back to some of the earliest texts, where you find that the Buddha doesn’t present it in that way necessarily, but he sees nirvana really as, again, the transcending or the stopping of greed, of hatred, confusion. The Buddha is very consistent in bringing back lots of these rather grandiose ideas to a far more pragmatic and immediate present. So nirvana, what does that mean? It means, are you able, in this life, to stop being driven and conditioned by your fears and your greeds and your hatreds? It’s that freedom, which we can experience for ourselves, that constitutes nirvana, not some postmortem cessation of existence, or transcendence, that we would aspire for [in order] to achieve liberation from the cycle of birth and death. So I can see so much of what is central to Buddhist teaching as really concerning what our lives are about here and now, and so I don’t really have any serious difficulty with any other central Buddhist concepts of that nature. TS: So if we dismiss the idea that when we’re born, we’re bringing with us a certain karma from our previous lives, then when you look at certain people who are born with great gifts and great aspects of genius that are discovered at a young age, or other qualities, do you have any way to explain that? Do you not need to explain it? SB: I don’t actually feel a great need to explain it, to be quite frank. I’m just grateful that such people exist! But if I were to reach for an explanation, I would probably go back to a mixture of genetic combinations and cultural influence. Again, you see we don’t need to. A Christian, for example, or someone who doesn’t believe in karma at all, would also explain a genius such as Mozart as arising largely through the grace of God. I think we can come up with any number of equally irrefutable claims, such as the beneficence of a deity, as opposed to the power of your past karma, to explain things that we otherwise don’t understand. I feel I would nowadays put my trust in how we might come to understand, let’s say, genius through a greater understanding of the way the human organism has evolved, through neuroscience, through genetics, and through the complex interactions of the organism with environment. I suspect that genius arises out of that matrix of observable events, or at least analyzable events, rather than having to appeal to some transcendent deity or some prenatal sequence of actions committed in previous lives. I just don’t find that the karma explanation or the God explanation really has much explanatory power, for the simple reason that those theories can explain everything. There’s nothing they can’t explain. That was one of the reasons I found the doctrine of karma initially so attractive, because it answered questions like that. It answered any question! But unfortunately that, in a sense, makes it a less compelling explanation, precisely because it can account for everything. I’m not drawn to it for those reasons, either. TS: Now you mentioned neuroscience and evolutionary biology and new discoveries that we’re making. I’m curious, when you look at the teachings of Buddhism, which teachings [do] you feel need to grow, evolve, be revised in light of new scientific discoveries? SB: Well, I think the main one will be the idea of what’s called pratītyasamutpāda, loosely translated as “dependent origination,” “conditionality.” I translate it as “conditioned arising” or “contingency.” The Buddha clearly saw this idea or this truth as what constituted his enlightenment. There’s a very famous passage in the canon where he says, “The one who sees dependent arising sees the dharma, and the one who sees the dharma sees dependent arising.” In other words, he clearly equated his teaching with this idea of conditionality. Now, I think that in most Buddhist teachings, this idea is restricted largely to the understanding of the origins of our suffering and our confusion and so on, and is given a fairly psychological reading, but I think the idea is enormously compatible with the whole notion of evolution, for example, which is again a kind of conditioned arising on an extraordinarily grand scale. I would hope that as Buddhism comes into its encounter with the natural sciences and modernity, that terms like “conditioned arising” can be fleshed out in ways that previous Buddhist cultures have been unable to do, for the simple reason that they lack access to what for me is one of the most extraordinary illustrations of conditioned arising, which is biological evolution. Our understanding of history, likewise, I think is a wonderful way of illustrating the conditioned arising of events. And how we would then tie those kinds of insights, those readings of conditioned arising into a Buddhist appreciation of the same idea, which the Buddha suggests is what liberates you from pain. I also think the whole notion of the Four Noble Truths has to be rethought, again I think because that is so central to the Buddhist projects, and yet I feel that traditionally the Four Noble Truths have been largely framed within the doctrine of multiple lifetimes, getting out of the cycle of birth and death, where the end of suffering is only really possible with the ending of rebirth. I think that can be really rethought in a much more empirical, here-and-now kind of sense, which is one of the things I try to do in the book I’ve just written. And I think also [that] so much of what the Buddha and his followers have told us about the nature of the mind, again I think that’s already happening. There are some very fruitful dialogues between scientists and Buddhists, a lot of them through the Mind & Life Institute work of the Dalai Lama and others. That’s already happened, and I think that’s a very positive development in Buddhism, so that Buddhist ideas of mind are enriched by what we now understand about brain neurons and so forth and so on. I think it’s a very fruitful occasion that we live in, one in which these two great cultures are coming together. What exactly it will produce, I don’t know, but I do feel that when Buddhism has gone into a new culture, it has often benefited from the genius of the host tradition. Zen Buddhism, in many ways, is the fruit of Indian Buddhist ideas encountering the Chinese genius, particularly in its Taoist forms, and it’s given us this whole school of Buddhism called Zen. I don’t see why something comparable could not happen through the encounter of Buddhist ideas with modernity and science. Exactly what that would be, I would not be so foolhardy to even try to guess, but I feel that that is the way we need to go. TS: One of the themes in your new book, Confession of a Buddhist Atheist, is looking at the life story of the Buddha, the historical Buddha, and trying to make some discriminations about what really happened, versus the legend of the Buddha’s life. I’m wondering if you could share with us some of the key discoveries that you made in this investigation. SB: I suppose the key discovery, really, is the discovery that the Buddha was a human being, and a human being who was very much a part of the world and the society in which he lived. Before I began this research, I shared probably with most Buddhists the idea of the Buddha as having struggled once he left home to become the Buddha, going through all sorts of hardships and asceticism and meditation, and then becoming the Buddha through a transformative awakening, and then spending the rest of his life basically just teaching, training monks, and then one day dying. Now, that image is completely undermined by the materials that are there in the Pali Canon, where we find that rather than just becoming the Buddha and then teaching monks and establishing his dharma, he was actively involved in the conflicts that were very much dividing his world at that period, and we find that he is very much a player in that world. Now, I don’t mean by that that he took a particular political stand. He didn’t. I think that’s an important point to make: that he refused to get drawn into the cut and thrust of political behavior, but he somehow saw himself as a kind of sounding board, a kind of an example of another way of being in this world, that I think had a significant effect on the actions of those around him. But more than anything else, the detail that we find in the canon, that describes the people that he worked with and his sponsors and those he taught, is very, very rich. When you put all this material together, when you kind of collage it together, a very vivid and real world begins to appear. My whole sense of who Siddhartha Gautama, the Buddha, was has completely changed in the past few years in a way that I think, in some ways, has brought the idealized Buddha of legend somewhat down to earth. Some Buddhists might find that to be almost disrespectful in some ways, but what it has done is it has humanized the Buddha for me. And at the same time, it has humanized his teaching, because his teaching was not given in a kind of ideal, abstract context, but it was given in a very concrete, conflicted world of men and women struggling to figure things out and to get things done. That has somehow—the word I use is it has “earthed” my practice in a way. It has somehow brought these teachings much more concretely into the web of human relations. It’s also enabled me to see that the Buddha was, in some ways, as fallible as us. I mean, he didn’t know what would be happening the next day or the next week or the next month. He had to respond to the crises of his time according to his own insights, his own intuitions, and he could not be sure of getting it right. It thereby somehow makes him so much more accessible to me. In some ways—I think this is something else that many Westerners will feel—it makes the Buddha into a more Christ-like figure. One of the things about the Gospels that I’ve always been very impressed by is that you can’t separate the teachings of Jesus from the story of his life. You couldn’t imagine stripping away the story and just reducing Jesus’ message to a few statements, but the Buddhists tend to have done that, in fact. They’ve not paid much attention to the historicity of the person we call Siddhartha Gautama, but simply preserved certain things that he said. In some ways that’s good, because it’s enabled them to develop these ideas in, I think, some very, very brilliant ways, but it’s always run the risk of abstracting the person of the Buddha, and thereby the whole idea of Buddhahood, from the actual world of human life. I think in Zen you get a return back to the human in very, very pithy ways. In the Tibetan vajrayana too, you get the mahasiddhas who bring things very much back to earth. But by and large, I think Buddhist tradition has tended to treat the Buddha as a bit of an abstraction, and thereby I think run the risk of being too abstract in some of its teachings as well. So what I’ve learned through this research is a rediscovery of the Buddha’s humanity, the humanization of his teachings, and a much stronger sense, almost viscerally, in my own life, of my affinity with this person, with this man. I can relate to him more than I could before. He’s a figure. He’s a person. He’s a suffering human being. TS: This personal part is something I’m curious about, Stephen. Again a personal question, which is: how, in your delving into the true historical stories of Siddhartha Gautama, did it change your view of your own life, the place where you are now as a teacher? SB: I think it did. I think I say somewhere in the book that my quest for the historical Buddha will probably end up saying as much about me as about Siddhartha Gautama. In other words, I’m aware that everyone’s version of who the Buddha is, is in some respects an idealized version of what they would wish to be in an ideal world themselves. The different images of the Buddha that we have through history, I think, are in a sense depictions of different archetypal ideals that different Buddhists have striven for. But I think [that] in my more secular interest in Buddhism, or my wish for Buddhism to become more secularized, this also means that this figure himself has to become more secular. There I can see that what I’m doing is, in a way, discovering that dimension of the Buddha that resonates with my own secularity, my own commitment to living life fully in this world, rather than aspiring to something after death or whatever. In that sense, I think my discovery of the historical Buddha has also been a confirmation, an affirmation, of many of my own intuitions that I feel central to my role as a teacher, as a writer, as a practitioner. It’s somehow brought my life more in alignment with the life of that person whom I regard as, for me, the most significant person in human history. That, I think, enables me also to perhaps realize these values in a more realistic way, to not place the bar quite as high—the bar of enlightenment—quite as high as it sometimes is. My only concern, I suppose, is that I lower the bar too low, make it sound too easy. I hope not, because that’s certainly not what I believe. TS: Can you be more specific with me, Stephen, what story from the Buddha’s life has impacted you in this way? SB: The way he had to deal with the deception [that] his cousin, Mahanama, [perpetrated] on the king of Kosala. His cousin, Mahanama, who succeeded Suddhodana, the Buddha’s father, as the head of the assembly of the Sakyans, was asked to provide a bride to the great king of the day, Prasenajit. But Mahanama refused to do this, and instead passed off a slave girl as a noblewoman and gave her in marriage to the king. Now, the Buddha would have known about this. I mean, even if he weren’t omniscient, this is close family stuff. The Buddha had to deal with—well, the Buddha found himself basically compromised. If he wished to really continue his work in King Prasenajit’s country of Kosala, he would have to maintain good relations with this king; he would have to maintain this king’s trust. If he were to expose this deception, it’s likely that his whole project would no longer have been supported in Kosala. So he kind of found himself, through no intention of his own, but through the ambitions and the fears and the desires of his family members, in a highly compromised situation. He had to live with uncertainty, in that sense, and this is so terribly human. We often have this idea that the Buddha is somehow above these conflicts, has somehow transcended these difficulties, that everything he says or does issues from some state of perfection. I think it’s more complicated than that. I think that he, like any other human being, is enmeshed in a network of relationships with other people, with his community. He is beholden to sponsors and to the powers of the day that provide him with security, and he has to work within the confines of that situation. A very telling example is what happened after he was unable to resolve a monastic dispute in a place called the Kosambi. The monks had got into a big squabble about some trivial rule. The Buddha came along, and even he was unable to resolve this. And so what he decided to do was simply to quietly, one lunchtime, pack up his robe and his bowl, and without telling anybody what he was about to do, he just slipped away and went into the forest. He complains in the texts that he feels hemmed in. He feels imprisoned by monks, by nuns, by kings, by all the people who support him and so on. Now this again I found a very striking passage, because again it shows how even someone like the Buddha is bound in a way by the social, political, and economic conditions in which he lives. And all of these things, I feel, have inspired me to recognize that my own life—all of our own lives—are likewise hemmed in like this. We may not have the degree of insight and freedom that the Buddha had, but nonetheless we are confronted with the same challenge, that our practice of the dharma is not something that goes on in some kind of inner spiritual realm, but our practice of the dharma is how we respond to the situations of life into which we find ourselves hurled from day to day, over which we have relatively little control, and in which the situation itself calls forth an authentic and an appropriate response from anyone who is seeking to realize and to practice the values of a particular tradition. And all of that I found [was] again a confirmation that my own practice as a Buddhist is in many ways caught up in exactly the same dilemmas that the Buddha’s practice was caught up in. TS: Mm-hmm. Now, just to clarify one thing. You said that, in studying the historical facts of the life story of the Buddha, it caused you to “lower the bar.” You meant by that not to expect some kind of perfection or transcendent knowing the right thing to do, sort of like the Buddha was floating on a cloud above life. But I might posit that, in a way it’s actually raising the bar, which is to bring all of that freedom and intelligence into these difficult life situations. SB: Well, I tend to agree with you. I do agree with you. I think the most difficult practice is everyday life. We don’t have the luxury of being able to meditate every time we have to go to a meeting or say something or answer the phone. It is the greatest teacher in that respect. The reason I said that is because that is a criticism that I often receive from Buddhists. In some reviews, people have said that I trivialize the Buddha’s teaching, that I somehow abandon what is grand and magnificent about it, that I reduce enlightenment to something relatively mundane. These are quite common criticisms, and I suppose when I was speaking I had those in mind. I think there’s an enormous struggle, probably in every tradition, as to where do we place the figure who embodies our values in relation to ourselves? Do we make that person—the Buddha or Christ—so impossibly perfect that we really have more or less cut off any real possibility of ever attaining such a state ourselves? That would seem to me a system of alienation. On the other hand, do we make that person—the Buddha, the Christ, Mohammed—simply just like us, with perhaps a few special gifts? In doing so, I think we lose something else as well: we lose the capacity for that person to be an inspirational power in our lives. This, I think, is a big struggle. Where do we locate these figures and their attainments vis-à-vis ourselves? I think there’s a danger both ways, where if you make the figure too remote, you make him inaccessible; if you make the figure too close to what is your own case, you perhaps lose the power of that person to inspire you and to drive you to transcend limitations. It’s very difficult in any culture, I think, to somehow get that distance right, and I don’t claim to have done so. All I can describe in my book is my own struggle with that particular issue. TS: Well, Stephen, I want to thank you for this conversation. What I feel is that you’ve helped encourage my great doubt, great confidence, and great courage! SB: If I’ve done that, Tami, I’m very happy! Thank you, and it’s been a wonderful conversation. I’ve enjoyed it enormously. TS: Wonderful. 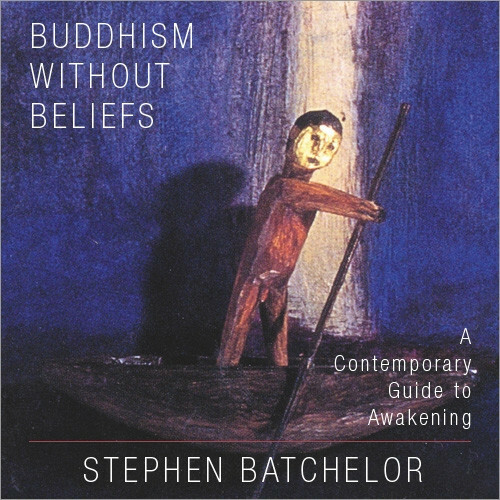 I’ve been speaking with Stephen Batchelor, the author of a new book, Confession of a Buddhist Atheist, as well as the book and the Sounds True audio learning program, “Buddhism Without Beliefs.” Stephen, thank you! SB: Thank you, Tami. Bye! TS: Bye, bye. SoundsTrue.com: Many voices, one journey.